Like many great men in history, Frank Lloyd Wright was a complete and total jerk. Lucky for him he was also a genius which allowed him to get away with behavior most of us mortals never could. Although I don't see Mr. Wright as a role model demonstrating how to live a good life, I do see his architecture as illustrating how to design a good building. And here I make an important distinction between "good" and "great". There are plenty of "great" buildings in the world that while influential and important, are actually quite miserable to places to inhabit as a person. Wright designed more than a few of these himself, but may of his projects - especially his houses - are detailed so as to make them humane in ways you might not expect from a person who, as mentioned before, was a jerk. 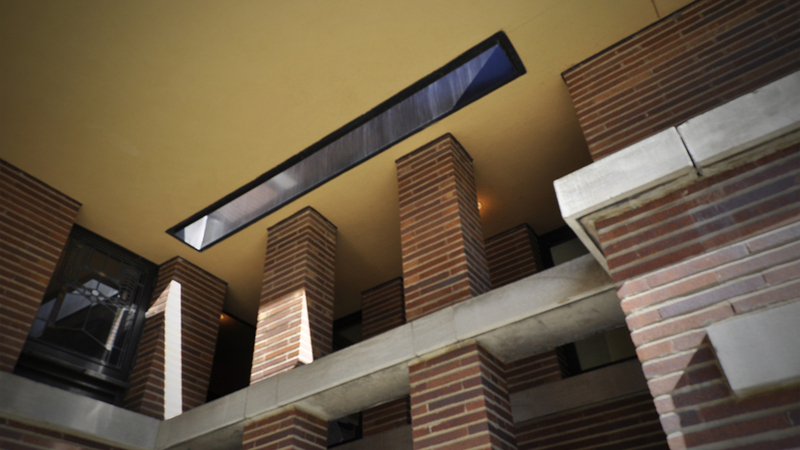 For me, one of the most compelling examples is at the Robie House in Hyde Park on the south side of Chicago. I gave tours there back in the early 2000s when I lived there and I recently had the opportunity to revisit it while I was working on episode 5 of the podcast. It's a great building on many levels, but one of the details I find so compelling occurs not on it's street facade or at its main entrance, but next to the garage near the stair used by servants to reach their quarters. It's a narrow opening in the roof of the building that allows natural light to illuminate this stair that was used not by the wealthy family who commissioned the house, but by the much less affluent workers who attended to them. Wright apparently felt everyone should inhabit a well-designed world. I credit this detail as the one that inspired the "mission statement" of HiWorks - the one about "good design" being accessible to everyone. In other words, here at HiWorks we do not seek to be great, but we do aim to be good.